Northwood Lettings are delighted to announce that they have strengthened their client offering with the addition of their new in-house mortgage advisor, Nathan Lamb. As Northwood enters its 10th year of trading, Managing Director Laura Mearns commented ‘the time is right to provide this added value service offering to our clients to ensure they are getting the best return form their current property investments, especially during a very challenging period in the local rental market’. Nathan joined the Northwood team in August 2018 and in the short period of being part of the team, Nathan has achieved great results for Northwood clients ensuring their buy to let mortgage deal is the best deal for their investment. Nathan is a mortgage advisor with Danestone Mortgage & Financial Services and has access to the whole of the mortgage market. Nathan has over 25 years’ experience working with two large banks bringing with him a wealth of experience and knowledge. 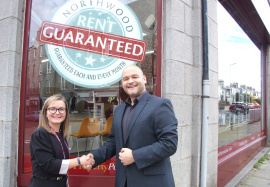 Nathan is also a client of Northwood so understands our unique service offering, Guaranteed rent, and our clients' financial needs, particularly the financial challenges Landlords have faced in recent years. Nathan is based in the Northwood offices in Rosemount Place and is available to discuss your needs anytime. So, are you a Landlord? Do you have the right buy-to let mortgage for your investment? Is your current rate coming to an end? 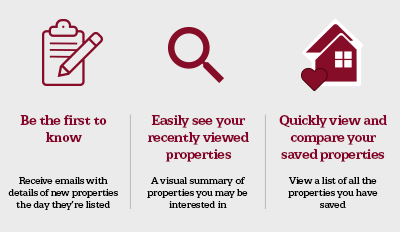 Are you thinking of investing in another buy to let property and need a mortgage? Contact us today to take advantage of this new service offering. Northwood is dedicated to lettings and knows the Aberdeen rental market inside out. Local ownership ensures a commitment and dedication to its success, which benefits customers in terms of the service that they can expect to receive. We would love to hear from you, so call the Aberdeen team now on 01224 218450 for a free no obligation review.